We get calls all the time from real estate professionals whether it is the home inspector the buyers real estate agent or the sellers real estate agent asking us to do an estimate for their client based on the home inspector’s recommendation. Please understand this article is not written out of pride or arrogance but just to say that there are many crawl space encapsulation companies that don't know how to encapsulate a crawl space properly so when it comes to recommendations from people and other professions, we choose to do things the way we know and is proven to keep the crawl space dry clean and efficient. Realtors – Be Careful Who You Refer! This is a big one. Many home inspector’s punch list tell us, the crawl space professional, to just wipe the mold off the joists. Well it's a little bit more complicated than that. Mold protocols require that you control humidity and dry the structure. And if you just wipe off the mold without doing those things, the mold is going to return. What most people don't realize is that we are actually doing the work for the person buying the home, not for the person selling the home, and certainly not for the persons representing the sale of the home. Don't get me wrong there are plenty of crawl space companies out there that will do just what the home inspector recommends. But we have found time and time again one to three years after the buyer is in the house, we get called out because of course the mold has returned. We have actually been scolded by Realtors telling us that we can't use the M word, “mold”. 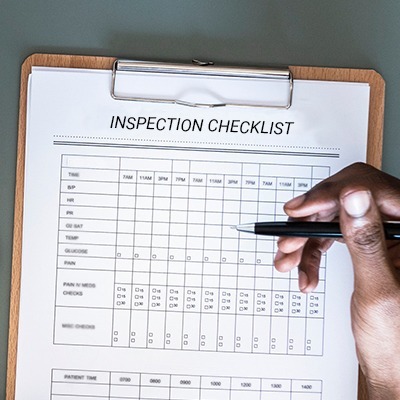 But in fact the home inspectors say that they recommend you call in a professional that knows how to address mold or fungus or some type of fungal growth. Well, guess who the professionals are they are referring to? So, it's common sense to think that if you have a wet crawl space, there's a good chance you have mold in it. Whether you decide to call it fungus or growth. Imagine you have a bathroom in a home that is wet or has been wet for months if not years. We all would determine that whatever is growing on the drywall is mold. The crawl space is no different. It is been wet way longer than a bathroom because no one goes in the crawl space to check it out. Granted without proper testing you don't know what type of mold it is or how many colonies are on the structure. But just by saying we can't say the mold word seems a little misleading to me as if they are only trying to close the deal versus educate the home owner of the risks involved with purchasing a home with crawl space mold. We offer guarantees and warranties on our work. By following the direction of the real estate professional or the home inspector that has no training or experience in crawl space encapsulation or mold remediation how are we as a company able to offer a guarantee or a warranty? This is why we choose not do business during real estate transactions. Now granted we have in the past but normally this has been sellers who are truly concerned about selling their home to someone with a problem and they want to make sure the problem is corrected. But who can blame sellers for not spending thousands of dollars to properly fix a situation in which they will not be able to enjoy the result. Especially when the home inspector, realtor or novice crawl space professional is telling them they would be crazy to spend the money to do it right. But at the same time let's look at it this way. You can't sell a house with a leaking roof and the buyers and the real estate professionals would expect the roof to be fixed properly even if it involves a full new roof. So why is the crawl space different why is it that we can just punch list the crawl space and not fix it properly? Since the buyer is ultimately absorbing the problem with the crawl space, we recommend that you keep our contact information in the event that you need help in the future. I can't tell you how many homes I have seen just this year where the seller hired someone cheap to fix the crawl space and either they are no longer in business are no longer returning the phone calls. Then the buyer must come up with the money in order to fix the crawl space properly. This just doesn't seem like a good situation during a real estate transaction if there was a leak or a problem in any other part of the house it would be corrected properly but for some reason crawl spaces are exempt.